Major Campbell served for more than 20 years in Canada following on from his tour of duty there with the 7th Hussars. Before that, in 1832, he had been chosen to accompany General Considine to Turkey to train Turkish troops but by the time they arrived hostilities with the Kurds had ceased. He also travelled in Russia, Egypt and Syria. He was trained at Addiscombe and passed exams for the Artillery and the Engineers in the East India Company army. 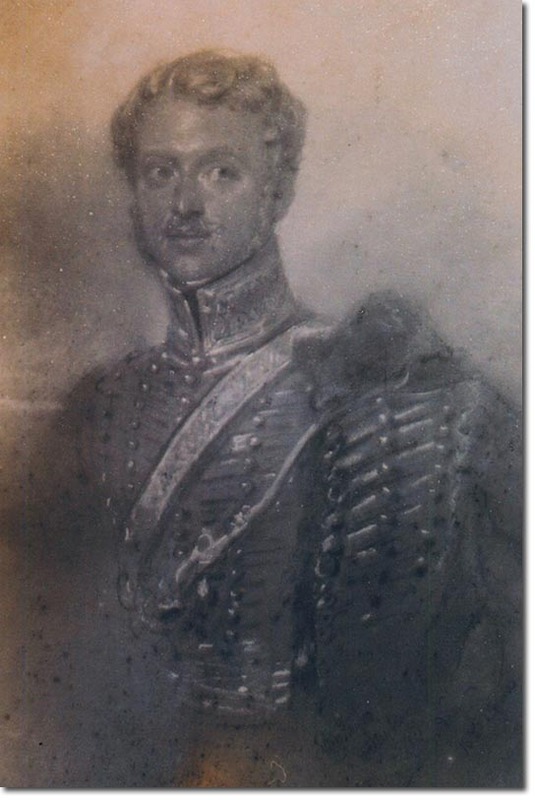 However he decided to serve in the British army, in 52nd Foot, 2nd Dragoon Guards, 1st Foot and in 1832 he joined the 7th Hussars as a captain. When the 7th went to Canada in 1838 he was chosen by Lieut-General Sir John Colborne, when at Caughnawaga, to be attached to an Indian tribe to train and command them and to prevent any scalping. He may not have served in this role for very long because in Jan 1839 he was put in charge of a Troop that had to investigate reports of rebel activity at Ferrebonne. Later in the year he was ADC to Governor-General Poulett-Thompson. He was awarded the CB in 1854 and died in August 1872 aged 63.